This is the beginning of what will eventually be a rather long list. These stories have been suggested by members of the storytelling community as examples of stories that have been effectively used in Social Justice settings with a healing story focus. Listed here are suggested stories with references and complete stories (written or videos) offered by individuals who have rights to these versions of the stories, and are happy to share them. This is an evolving list, so we invite potential contributors to this site, to send their suggestions or material to socialjustice@healingstory.org. Abiyoyo by Pete Seeger, originally published in 1963 by Simon and Schuster N.Y., now available as CD recording (Smithsonian Folkways, 1992) or children’s book (Aladdin; reprint edition 1994). “Stone Soup” – While there are multiple sources of this story, there is a traditional version by Marcia Brown that won a Caldecott Medal in 1947 and was published again by Aladdin Books, New York: 1986. This version is an old French tale about soldiers who trick miserly villagers into making them a feast and loving the results. 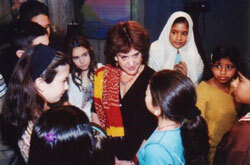 “The Brave Little Parrot” (http://healingstory.org/the-brave-little-parrot/). Rafe Martin’s version was originally printed in The Hungry Tiger: Buddhist Legends and Jataka Tales (Newer, definitive edition, 1999, is completely updated and rewritten with expanded commentaries and two new sections and includes a fascinating array of stories from the Buddhist tradition. The previous edition, published by Parallax Press, won an Anne Izard Storyteller’s Choice Award, and the stories have been anthologized in collections such as Soul Food, Best-Loved Stories Told at the National Storytelling Festival, and Peace Tales. “The Mustache” in Laura Simms’ Becoming the World: A storytelling workbook for tolerance and compassion. Available June 1, 2017, (self published at http://laurasimms.com). “The People Could Fly” – various sources are available, most notably Virginia Hamilton’s book, The People Could Fly: American Black Folktales, Knopf Books for Young Readers; Reprint edition (January 4, 1993). 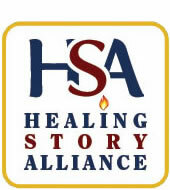 Note: Many of the stories in the HSA website’s Resources and Healing Stories sections are applicable to Social Justice settings!